Let the beer tasting begin! 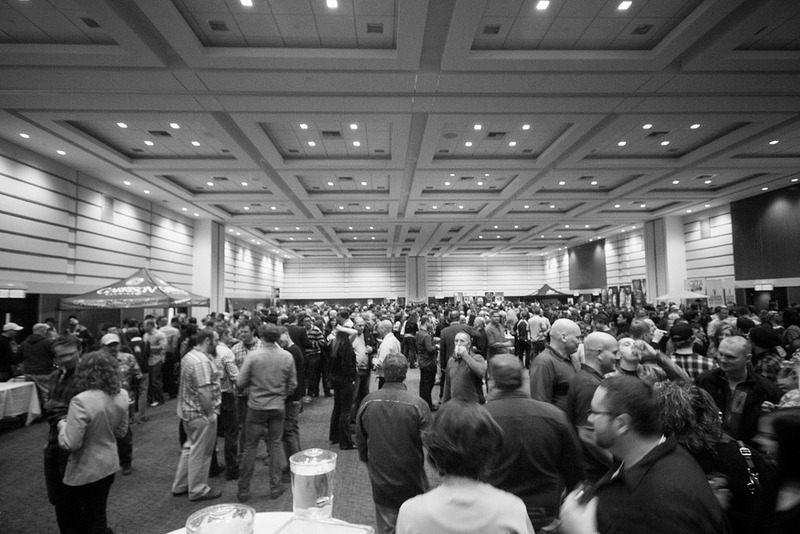 Along with about 998 other people, acbbchris and acbbshawn were lucky enough to be in attendance at the 2nd Annual Fredericton Craft Beer Festival at the Fredericton Convention Centre last Saturday, March 8th. With a bigger venue, more ticket-holders, and more brewers and beers than last year, the event was an even bigger success this time around! 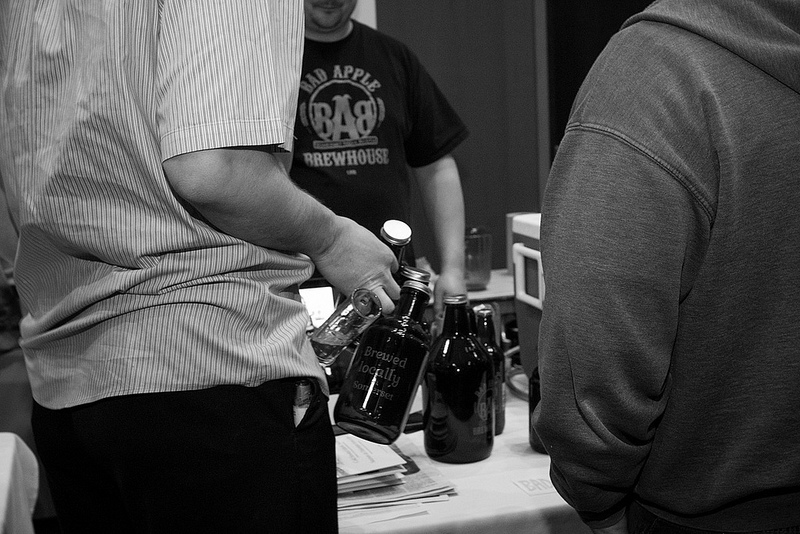 To recap, there were 700 “regular” admission ticket-holders, who were allowed unlimited 2 oz samples of the beers available, from 7:30 pm to 10 pm. The 250 VIP ticket-holders were allowed entry an hour earlier, beginning at 6:30 pm. On top of this, there were also about 50 “Women’s VIP” tickets sold; ladies with these tickets had some beer education starting at 6 pm, and they also received a larger keepsake glass. With a combined 28 brewers and distributors at this year’s festival, there were approximately 150 beers pouring on Saturday night. 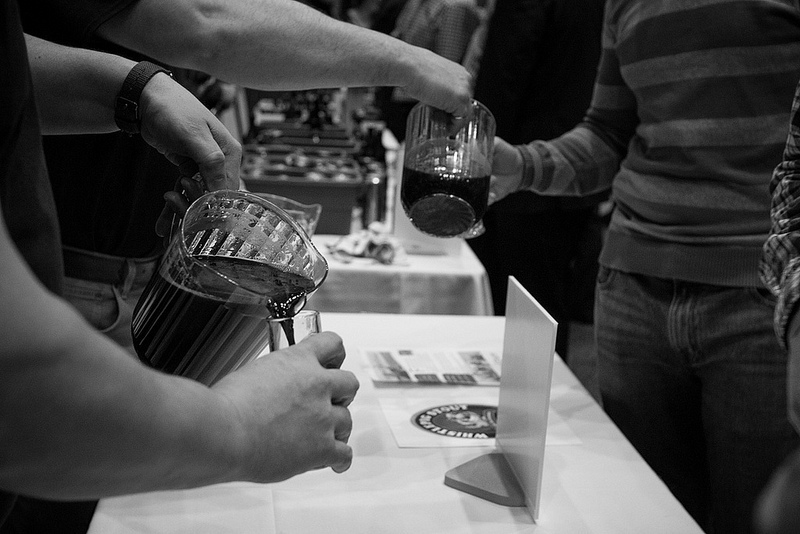 There were lots of standout beers being served! Representing the Atlantic provinces were Bad Apple Brewhouse, Barnone Brewing, Big Spruce, Big Tide, Boxing Rock, Garrison Brewing, Grimross, Moosehead, North Brewing, PEI Brewing Co., Picaroons, Pump House, Red Rover, Shiretown, Sunset Heights Meadery, and Uncle Leo’s. That’s NINE more Atlantic Canada breweries than last year! Goes to show how much the beer world is changing in our region! As for food, there were free samples of Magzy’s Kettle Korn, salmon from Miramichi Smoked Salmon, and chili from Good Apple Culinary (using all local products, including Picaroons beer, beef from Yerxa’s Meats, and beans from VanDine’s in Red Bridge). All proceeds from the festival will be donated to Team Diabetes (who also had a booth at the fest, selling tickets for their Beer for a Year drawing… more details on that in last Friday’s post). Approximately $14,000 was raised for this well-deserving charity, along with an additional $1200 from the Beer for a Year ticket sales! We had a great time at the festival, and were very impressed with the improving quality of beer brewed and available in our region. Stay tuned later in the week, when the crowd-selected Best of the Festival will be announced! Next year’s festival has already been determined to be on Saturday, March 7th, 2015. And don’t forget, there’s less than a month (April 5th) until the Saint John Beer Festival… tickets are selling fast, so don’t wait much longer to get yours! We’ll have more details on the SJBF soon. Special thanks to Ahmed Dassouki for providing all of the pictures in this post. You can check out the full album of FCBF 2014 pictures at his Facebook page! Also, head to this link for a special news broadcast on the festival from CTV News. ← Friday Wrap-Up – Fredericton Craft Beer Fest VIP Ticket Winner Announced, New Brews from Bad Apple, Red Rover, and more!